Of all the ways to 'play' D&D, this kind of deep thinking about the mechanics has never appealed to me. I love that I have a group where we can just play whatever combo that sounds fun or interesting without worrying about optimized play. Of course, for those who do love that kind of thing, I'm glad there are opportunities for you to get what you want out of it to. 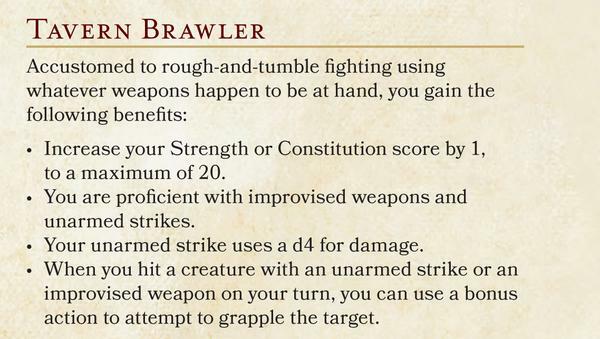 I'm glad that D&D can be flexible enough to allow a lot of different playstyles. Generally speaking I don't like trying to min/max, but at the same time I don't like building a character for theme and have it be utterly obsoleted by someone else who may or may not be trying. I like doing these analysis just because I'd like to make sure there isn't OBVIOUS trap choices. Well see, if you SOLD them, or gave them away... that would mean... mean... people would still be playing it out there somewhere! And it's not like... there's just... tons of unsold copies still in game stores, which those weirdos who want to play it would go buy, and actually financially support the devil's edition because they didn't get free copies to look at from me, r-right? And then there's the environmental factor. So yeah, class acts those guys. This sort of deep mathematical analysis is something you ideally should never want or have to do as a player... however, to make sure the players not doing deep mathematical analysis have a good time, the designers really need to make sure to do so, because if the numbers don't match up, character concept A is just way way less effective than character concept B, and nobody's going to notice until they're already committed. What's annoying is the people who break down the math on stuff like this, then complain about huge imbalances they see, where those perceived imbalances are a direct result of them totally forgetting to factor in a whole bunch of stuff that comes in when you actually sit down and play the game. Exactly. I've almost never had a game ruined by purposeful exploitation of these mechanics. I HAVE had games ruined by non-obvious trap choices (3e Monk) or non-obvious broken choices ("oh, I'll take this and this and... By the gods! What horror have I wrought?") so I like poking at systems and looking for guards against those problems. Concentration and bonus actions are both great guards, as are advantage/disadvantage and limited scaling. Do we know what the feats in the PHB are going to be like yet? The basic rules didn't include any but I'm pretty sure they said that feats would be taken in place of ability bonuses (can't check from work) - if they're (possibly) replacing two points of your attack ability, I assume feats have to fairly game changing in this version. Feats tend to give +1 to an ability, and then having another benefit. I think the alpha PHB had Linguist which gave you +1 Int, and then you get like three languages. And according to Mearls' twitter Charge might be a feat. Yeah, they do take the place of those ability bonuses. Dunno if there's any way to start at first level with feats of any kind, though. The basic rules didn't include any but I'm pretty sure they said that feats would be taken in place of ability bonuses (can't check from work) - if they're (possibly) replacing two points of your attack ability, I assume feats have to fairly game changing in this version. Yeah, it replaces the +2 points you get at those levels, so generally speaking the bonuses should be roughly on par with +1 to a roll. A friend sent me the leaked alpha PHB, so I've been kind of reviewing it lately, but I haven't gotten to the Feats part yet. I've been looking more at the classes and... my first brush opinion is that I'm not a fan of how some of the added paths work, but I would have to analyze them more to see if I'm just kneejerking again (I'm amused that Spellblade is a Fighter path, but I need to crunch numbers to see if it's actually competative with just swording). The only rule that I've seen so far that starts you with a Feat is the Human variant option, which gives you a Feat, a Skill Proficiency, and 2 +1 attributes instead of +1 to all attributes, but I haven't finished going over the book yet. Humans can start with two ability points, a feat, and a skill instead of taking the +1 to all abilities, turtle. Assuming you're playing with feats, that is. Checking out that article, the new feats sound pretty good. I'm waiting to get really hyped, but I'm really looking forward to getting my hands on the PHB now. In between browsing the demo .pdf and generally being annoyed about orcish representation, I accidentally wrote a campaign setting. Guess I'm picking some of this up. Going through the alpha PHB, many of them are fairly minor effects (with a bunch being getting rid of 2 +1 attribute bonuses and giving you a +1 and a tiny effect instead), but there's a few that really shake up the way you would play your character, or really affect the way that some mechanics interact. For example, the Dual Wield one, unless it changes for official, gives +1 AC when holding two melee weapons and lets you TWF with any 1h weapon, instead of only Light ones. This feat gives TWF Fighter a small boost that likely puts it above 2H Fighter. The 2H equivalent feat gives both Cleave (get a free swing if you kill an enemy or get a crit) and Power Attack (Take a -5 penalty to hit, damage increases to 2[W]+Str*2). Crossbow Expert includes removing Loader from Light and Hand Crossbows, making a TWF Crossbow Fighter a viable build, and adds the ability to shoot an off-hand crossbow if you attack with a mainhand weapon. Yeah, so only the starter set is $20, the regular core books are $50 bucks each. Fifty stones....which is a bit of an increase (used to be $40 or so). I suppose Insider has gone the way of the dodo as well, or are they bringing that back for 5e? Yeah, so only the starter set is $20, the regular core books are $50 bucks each. They're not supporting 5e with Insider; they might eventually develop an equivalent program, but their goal appears to be simplifying character creation to the point where it's unnecessary. The Player's Handbook is also currently on pretty steep discount on Amazon. Insider's sticking around for 4e as long as it's profitable. For 5e, they have Codename Morningstar. And they changed their attract quote, from the one from Keep on the Borderlands, which was good, since the one they used was sort of facepalm-worthy. Some dour stuff here. After seeing the basic rules I was pretty excited about trying this, but reading this article and hearing about who they have involved with it has me second-guessing. Eh, having input from toxic people like that isn't necessarily damming. If they were part of the core team I'd agree it's a reason to be worried, but as consultants they likely had a pretty narrow scope of feedback and input. I don't know offhand if everyone who gave playtestnig feedback was included in the credits, but I'm sure there's some real winners in that group too and it doesn't worry me. This is actually one of the reasons that while I've been following 5e (since it's still the biggest game in town), I'm not giving WotC any money for it. The frustrating thing about the whole thing is due to the lack of permanency on the internet, it's incredibly difficult to point people to evidence. Now I'm not going to flat out say that the two people in question are racist/transphobic/etc, but they are both incredibly toxic assholes that it drives me mad that Mike Mearls defends them. Doubly frustrating that the rest of the consultants are generally really cool people. It's disappointing and I understand why people are upset or refusing to buy because of it. For my part? I'm still buying the books. They're a pair of consultants on a diverse list that includes Robin Laws. They've clearly had little influence on the design principles of the game or WOTC's attitude - if anything, it directly opposes the "swine" ideal and attempts to enshrine equality and diversity in both art and text. And - honestly - there's a lot of really terrible people doing pro RPG development. I'd be a lot happier if Mearls addressed this in some way. Again it looks like I've been spoiled by Andrew Hussie. Now I don't know if these are true, but he supposedly did. Well, the Google+ conversation that originally included all of the complaints has been deleted, so unless someone has a copy of all that it's hard to say. But those two have a long and documented history of being asshats surrounded by yet more asshats. Asking for proof when their respective websites and forums are sitting right there is kind of silly. I think I have to throw in that if they were hired to be professional playtesters, and yet 5e is still a very good improvement over 3e (let alone OD&D), then it's kind of a clear statement that they didn't get much of a say in the matter. And, well, I don't know. These people are major parts of what appears to be a large contingent of D&D fans. They may come back and give you garbage, but NOT asking them would be cutting off an avenue of things that might have been overlooked. It all probably could have been handled better, though. Last edited by Umbaglo; 08-01-2014 at 05:25 AM. They're a pair of consultants on a diverse list that includes Robin Laws. Who is this, anyway? Since we're learning about the people involved in the game, I'd like to know about anyone else important. Nigh-legendary game designer and writer of GM advice (Robin's Laws, Hamlet's Hit Points). He created Feng Shui, Over the Edge, the Dying Earth RPG, some of the best Earthdawn material, Gumshoe and Dramasystem, among other games. So the Players Handbook releases today, along with the first of the published adventures. I am in the final stages of getting the Starter Set adventure set up on Roll 20 and Obsidian Portal for some friends of mine. Once we get through it (and if they are having fun!) I will see if they want to continue with the Pregenerated characters from the starter set, or create their own. Anyone picking these up, or waiting till the full set is out? I am waiting for the monster manual to come out before I run a real campaign. I did one session with the starter set and everyone enjoyed it but my friends who play DnD are impossible to organize into playing. I"ve been trying for a month to play again but people are just ignoring stuff or taking a week+ to respond so maybe it's time to find new people to run the starter set with. Where's my shipping notification, Amazon! ?